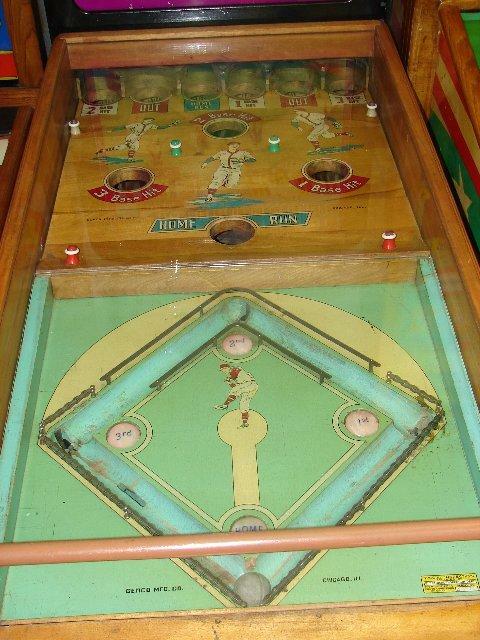 Description: Baseball, Genco, 1942, a roll down game (which Genco was well-known for). 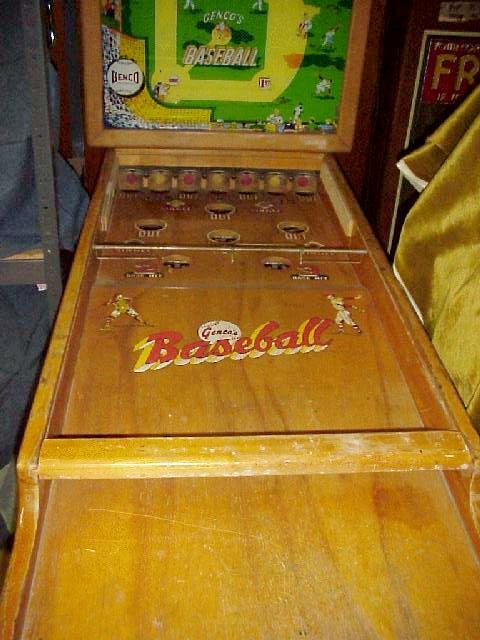 Game did not get produced in any great numbers because of WW2. 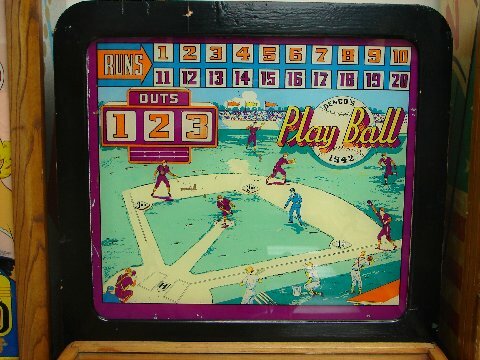 Very similar to the Genco Playball 1942 (March 1942). 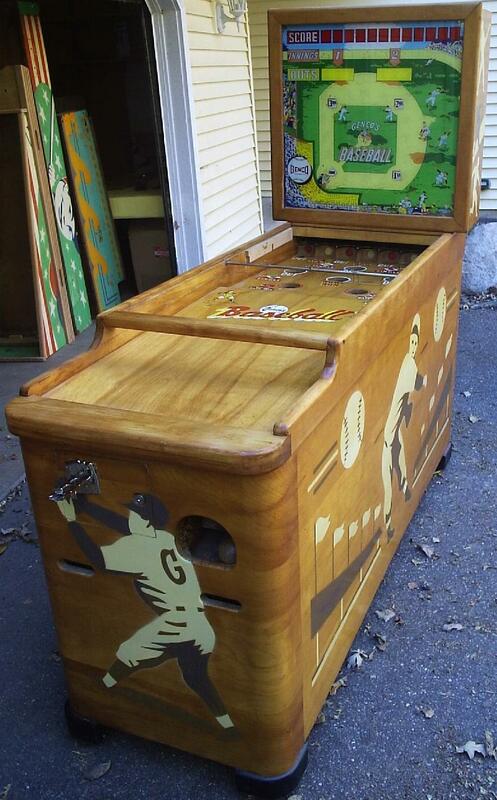 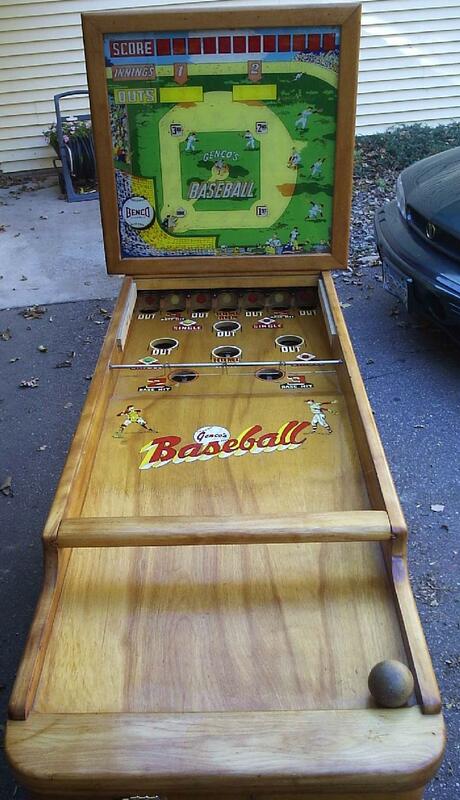 Genco Play Ball had a mechanical animation unit on the player-side of the rolldown area. 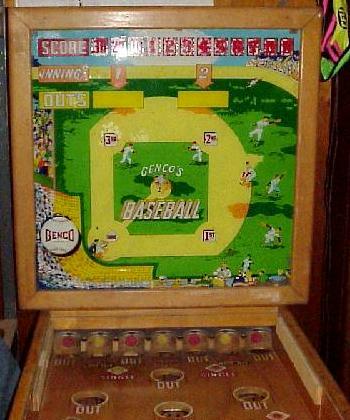 But because of war-time metal shortages, the game was largely produced without this (metal) animation unit and called "Genco Baseball". 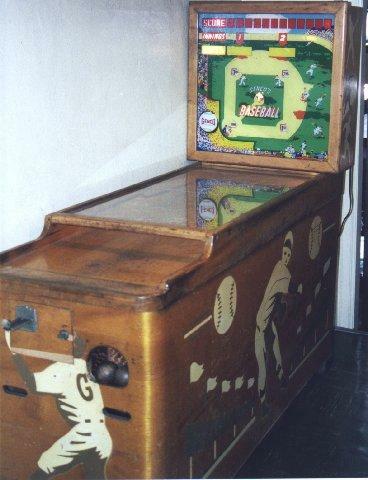 Genco Play Ball 1942 version. 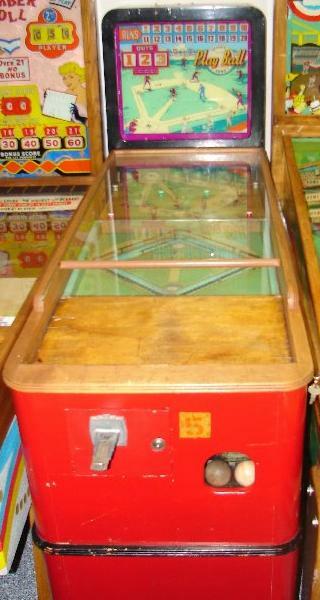 but was left off most machines because of war-time metal shortages.